Each piece marked Dihl in blue. 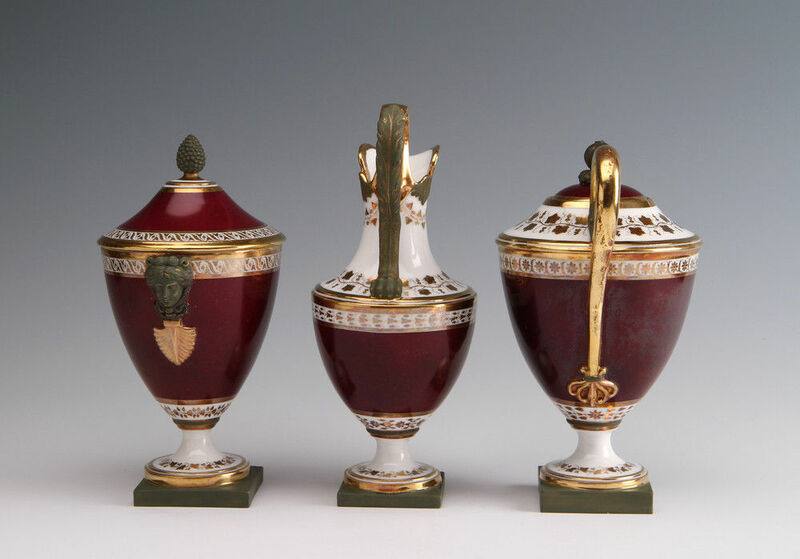 Consisting of a teapot, milk or hot water jug and a sugar box each modelled to imitate porphyry with gilt bronze mounts. The factory of Guérhard & Dihl was established under the protection of the duc d’Angoulême in 1781and continued after the revolution under their own name. 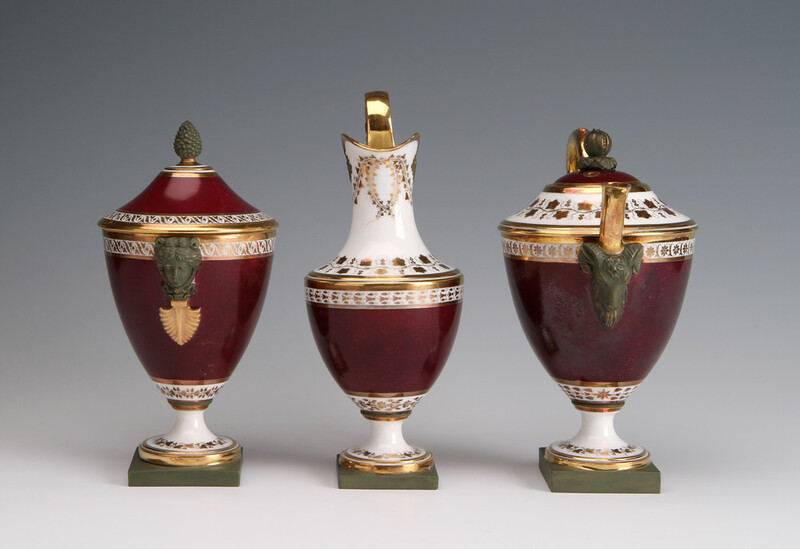 At the end of the 18th century they produced the most inventive and highest quality porcelains of all the Paris factories, rivalling those of Sèvres itself. 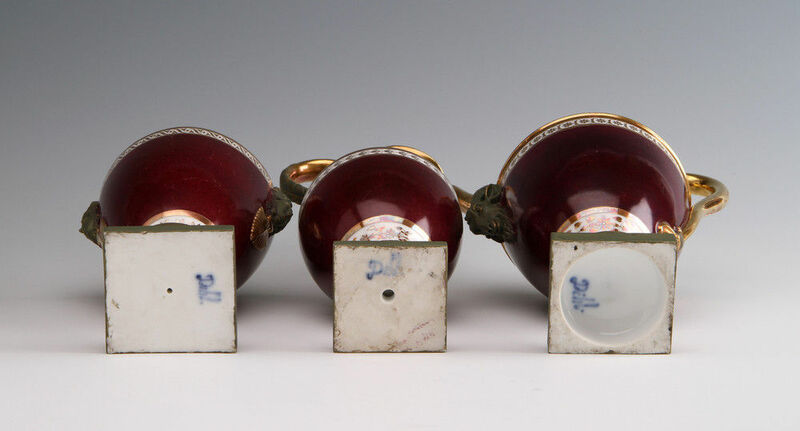 The factory pioneered the use of many glaze colours and effects such as this mottled porphyry and the green patinated bronze with gilt markings. 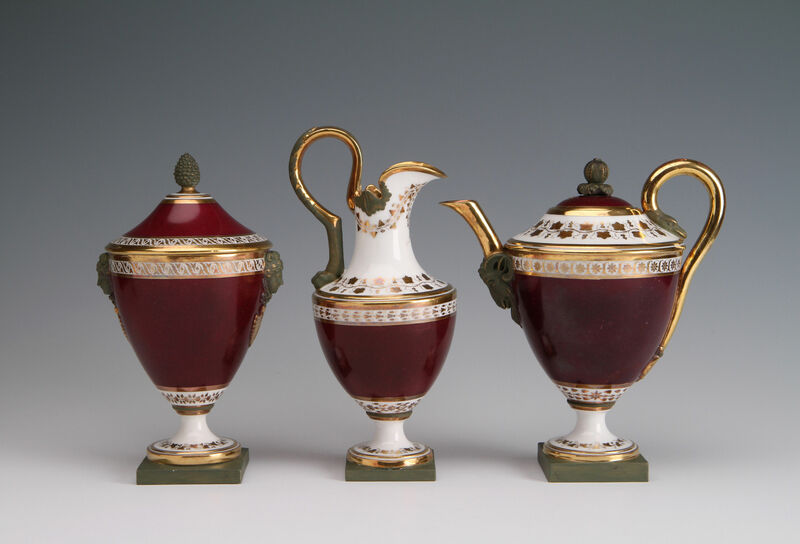 Jug 21.9 cm, sugar box 20.2 cm, teapot 20.0 cm. Condition – Chip to rim of spout of water jug restored, some minor wear to gilding.